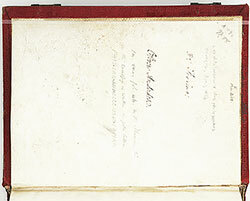 Notes: An inscription on f. 58v in a canopy above a seated philosopher records the date: "FAIT LAN MIL CCCC LXXIII I APVRIL." 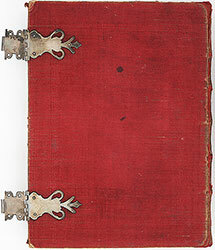 Notes: Les dits moraulx des philosophes is a collection of moralistic sayings compiled in the Middle Ages from the works of various philosophers and theologians, including Sedachias, Hermes, Tac, Zalqualquin, Homer, Zalon, Abion, Hippocrates, Pythagoras, Diogenes, Socrates, Plato, Aristotle, Alexander the Great, Ptolemy, St. Gregory the Great, and Galen, among several others. 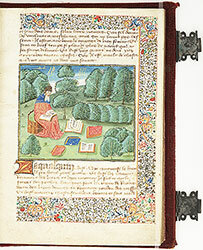 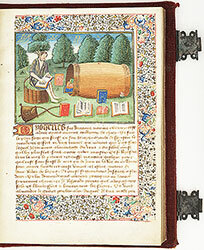 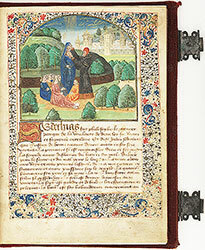 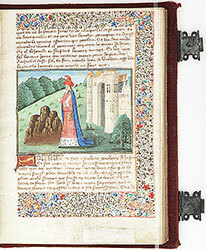 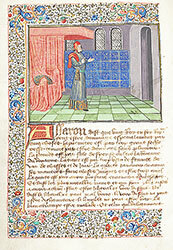 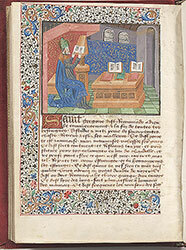 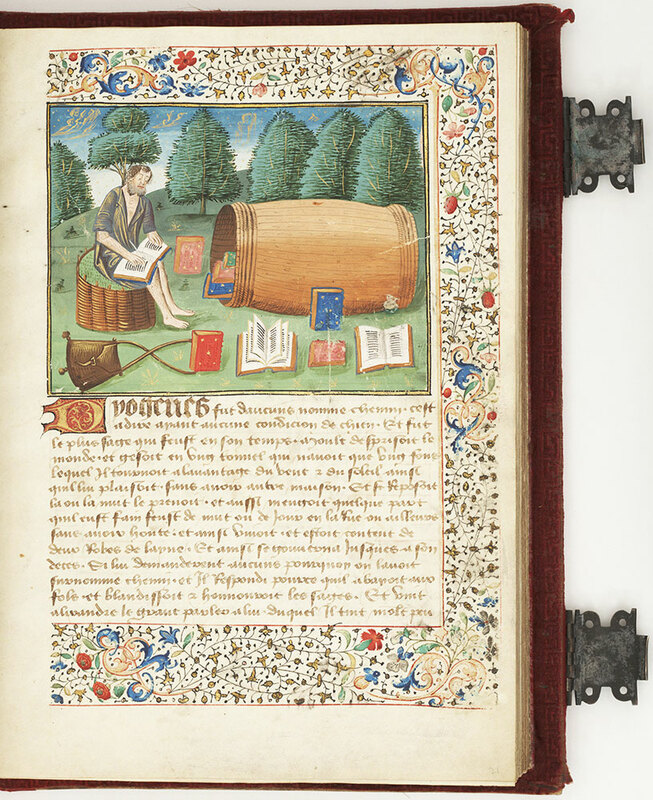 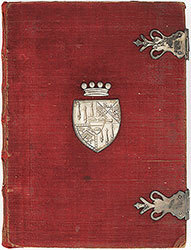 Guillaume de Tignonville composed the French translation from the Latin original sometime before 1402. 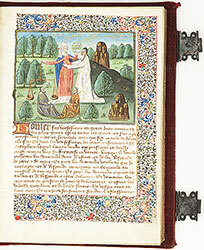 Diogenes, d. ca. 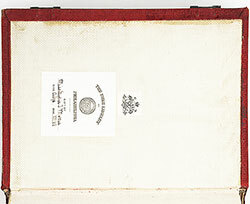 323 B.C.